One of the many strengths of Linux is that you can make it look exactly like you want. If you’re not a fan of something about the default setup, you can change bits and pieces. While you can dive deep and tweak your own custom distro Tweak Your Own Custom Linux Distro with These Four Tools Tweak Your Own Custom Linux Distro with These Four Tools Linux offers a wealth of options for anyone wanting to tweak their operating system. You can also create your own distro, burn it to disc and install it. These four tools will get you started. Read More , there are easier theming tools for novices or those who don’t want to invest the time. Now, there’s an easy way to apply a Windows-styled theme to Ubuntu. Longtime Linux users may scoff at this, wondering why anyone would want to poison the Linux interface with a dose of Windows. But it’s a great way for recent Linux converts Is Linux Finally Good Enough to Replace Windows? Is Linux Finally Good Enough to Replace Windows? Recent figures show that Linux desktop usage has reached 2%, it's highest yet. Does this mean Linux has reached a point where it can replace Windows and Mac OS X for the average user? Read More to have a more familiar working space, or to provide an introduction to Linux for less tech-savvy family member. And it’s not exclusively based on Windows 10 — the Taskbar is reminiscent of Windows XP while the Start Menu looks like Windows 7. On Ubuntu 17.04, UKUI is a free tool that provides many Windows-styled visual tweaks. The Peony file manager looks a lot like the File Explorer from Windows, while it also contains a Start Menu reminiscent of Microsoft’s OS. You’ll also find a familiar System Tray corner with a volume slider and date/time info. Would you rather make your Linux desktop look like macOS? Check out the easy tweaks to get you there Make Linux Look Like macOS With These Easy Tweaks Make Linux Look Like macOS With These Easy Tweaks If you like Linux but want it to look more like macOS, you're in luck! Let us guide you through the steps to make your Linux desktop behave and look like Apple's macOS. Read More . What’s your current Linux theme? 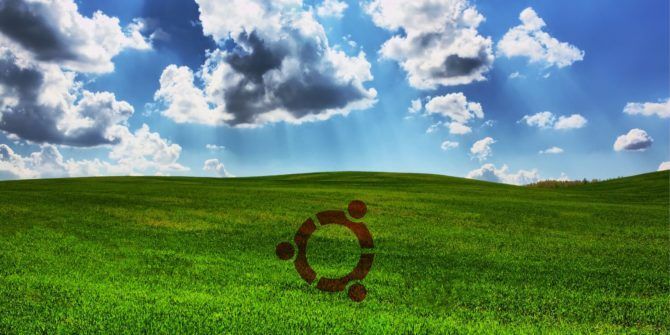 Would you ever want to make Ubuntu look like Windows? Let us know in the comments below! Why would you want to make an elegant Linux desktop look like Windows? "Longtime Linux users may scoff at this, wondering why anyone would want to poison the Linux interface with a dose of Windows. But it’s a great way for recent Linux converts to have a more familiar working space, or to provide an introduction to Linux for less tech-savvy family member." The best reason I can think of is that someone is installing Linux for someone who's not tech-savvy and wants to give them a familiar environment, or wants to ease into using Linux. Could Someone Please tell me How to Find This App and How to Run it. it doesn't show up anywhere . I used Terminal to Install it Using what was mentioned above ( apt://ukui-desktop-environment ), That seemed to Run and Install. But it Remains a Mystery as to Where it is.